Cancer Nursing: An International Journal of Cancer Care - Philippine distributor of magazines, books, journals, etc. 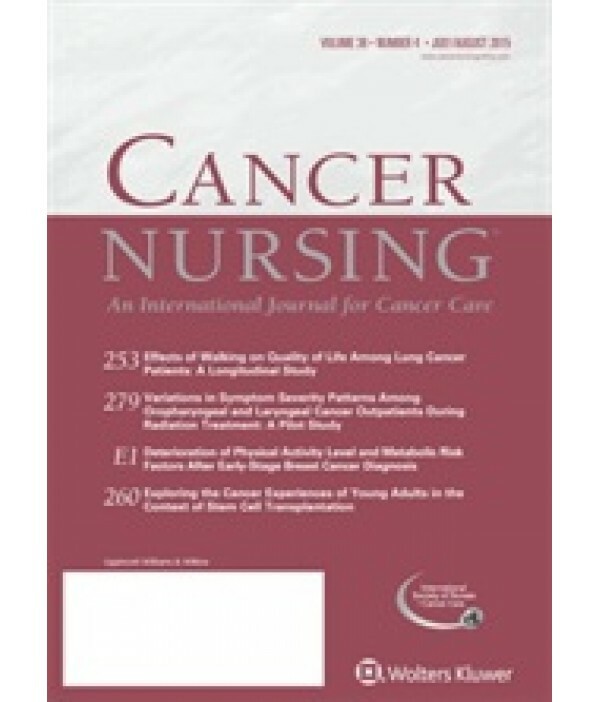 Cancer Nursing is an international journal providing information on cancer nursing research and care. The primary market is clinical practitioners in cancer nursing who depend on the journal for the excellent research presented in its articles which address the spectrum of problems arising in the care and support of cancer patients. Each bimonthly issue of Cancer Nursing addresses the whole spectrum of problems arising in the care and support of cancer patients--prevention and early detection, geriatric and pediatric cancer nursing, medical and surgical oncology, ambulatory care, nutritional support, psychosocial aspects of cancer, patient responses to all treatment modalities, and specific nursing interventions. The journal offers unparalleled coverage of cancer care delivery practices worldwide, as well as groundbreaking research findings and their practical applications.